Oakleaf Community hosted a group of mums from a community project based in Dundee supported by Kindred Clothing. 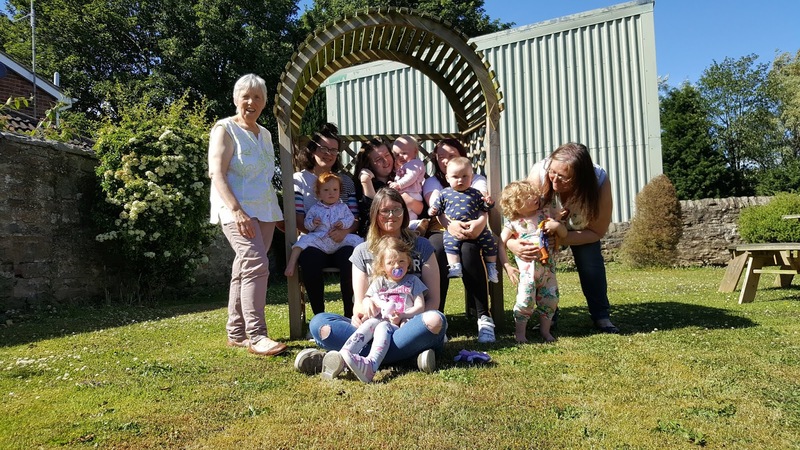 The group supports parents by helping them develop new skills and confidence whilst creating a space for their babies and children to play. Hannah Watherston (left) from Oakleaf Community and Self Made (an enterprise giving people the opportunity to develop real skills in clothing manufacturing that currently employs four people) took the group through their paces in learning dress making skills. One baby took his first steps which was a bonus. Everyone enjoyed the couple of days and the feedback received was positive, including "I've learnt lots" and "it was a really practical course and will take the skills learnt back to Dundee".